A Mephtik existe desde 2001. Com um periodo de hiatus retornaram recentemente às edições, a mais recente é este album de Darkhalo. "Sorry for the long absence once again, but this time it's worth the wait! We have a special release today courtesy of demoscene legend Darkhalo. It's his first full release in 8 years, and his biggest release to date, and it's quite amazing. I highly recommend checking out the review of the album as well as an extensive interview with darkhalo over on OSV. Well, on to the music. This is a nice mix of ambient, drum 'n' bass, and house music, with my particular favorites being "Mind of Goborobo" and "Boss Rush [SMB2]," which is a remix of the boss theme from Super Mario Bros. 2. 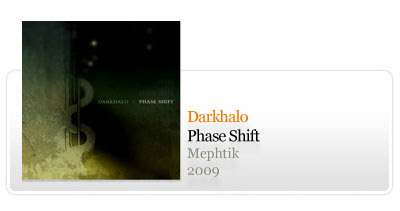 It's a great pleasure to have Darkhalo on Mephtik, so please join us in listening to his amazing release." I’ve been looking through your blog over the past few days and I found your site http://beatsplayfree.blogspot.com/ to be very informative. I was able to find everything I need from Space Station to accident information from links in this site as well as by following external links from this website. I can see you have a list of space station sites useful both for your users as well as end users who visit http://beatsplayfree.blogspot.com/ I have a blog related to space station with useful information to our visitors. It would be great, if you could spare a few minutes visiting my blog. If you find my blog to be informative, it would be nice if you could provide us a link. I have got many back links for my blog http://spacestation-shuttle.blogspot.com/ from government sites, org sites, as well as edu sites. Around 10,000 visitors daily visits my blog. So it will be highly benefited for your sites also. It would be great pleasure if you can add this link http://spacestation-shuttle.blogspot.com/ in your blog http://beatsplayfree.blogspot.com/ so that it can benefit our visitors.